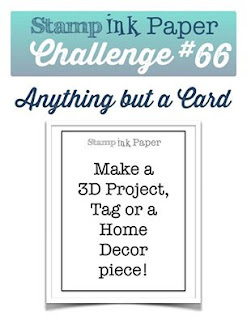 Happy Tuesday to you and welcome to another challenge at Stamp Ink Paper. This week we have a sketch for you. I thought this sketch was a great design for a Christmas card and I decided to make, not one but two while I had the supplies handy. The stamp on this card comes from the Among the Branches set from the Holiday catalogue cut and layered with the Circle collection framelits and the patterned paper is from the Merry Moments paper pack in our Annual catalogue. The cardstock I've used is Smoky Slate, Real Red and Old Olive. I also found some Old Olive bow clips from my stash which I added to the top of my layered circles. 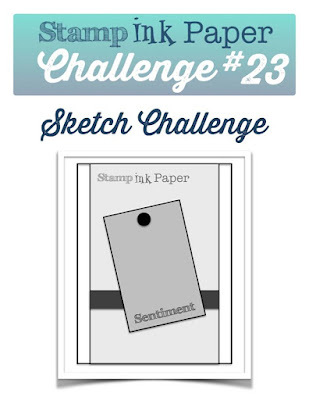 Thanks so much for stopping by to see what I've made for this week's sketch at Stamp Ink Paper. 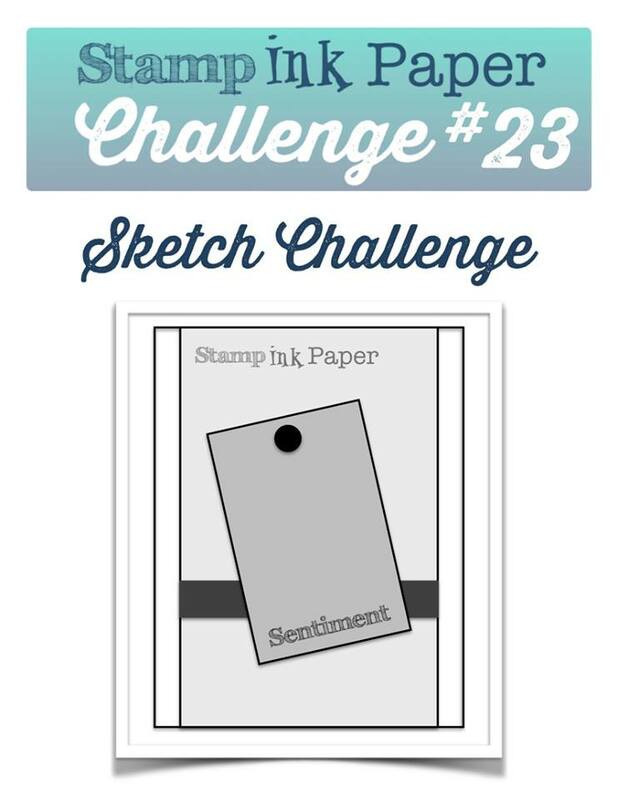 We hope you will join us and can't wait to see what you create for our challenge. Not one but two cards, how productive Carolyn! I love the traditional colors combined with the modern stripes, and your use of the paper clip bow is so clever! Thank you Sandy. I like to keep busy, lol.